Ukuva iAfrica: Contact details, E-shop and some legal stuff. Our mailer for local fans is "One MORE Bite" - its about 'moreness' - tips, recipes, specials and promos - in bite size bits. PROMISE - we won't flood your inbox and when you don't want to 'play' anymore, simply unsubscribe - No hard feelings! BEST News: Orders over R250 ship FREE anywhere in South Africa. Products are manufactured at facilities that conform to international food safety standards: HACCP or BRC. Each product has a fully developed specification sheet. Labels are adapted to conform to the label regulations of the importing country. 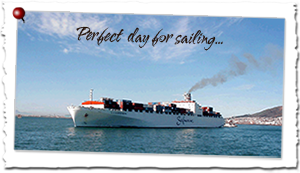 All products ship FOB out of Cape Town South Africa. Approx shipment to Rotterdam 16 days. 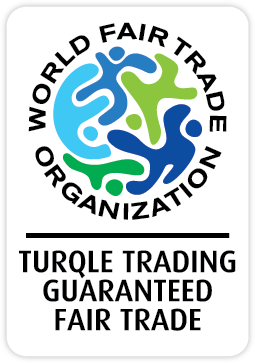 "The World Fair Trade Organization (www.wfto.com) guarantees that Turqle Trading is a Fair Trade Organisation. Turqle pays 2.5% of the export price of this product to the Fair Trade Trust for the education of the workers and their families. The wire and beadwork is made by hand at Cape Mental Health Society." Some of the Pepper Grinders carry the logo of Fairtrade International: This means the pepper in these products come from Fairtrade certified pepper producers. See: www.info.fairtrade.net for more information on Fairtrade International. The stories of the traveller are - by definition - stories... but the food and the recipes are 'real'. Many of the stories are based on the experiences of the traveller (and at times 'the traveller' in the tale were different people - fellow travellers or enchanting strangers...). To protect individuals, names and locations have often been changed. Some of the stories, recipes and suggestions are borrowed - where possible with the permission of the authors - and where it was not possible to get permission, we hope the acknowledgements in the narative will be sufficient. Links are included in context. If you would like us to add or delete a link - let us know. Most of the images and photographs are our own, stock images purchased from a variety of agencies - but some have crept into the picture archives without notes about where they came from and who took them. While we have made every effort to ensure we have appropriate permission for the images used in this site, the origin of some of the composite pics were not traceable. Anyone wishing to use our photographs are welcome to contact us, we will gladly share our own photographs for non-commercial use. We post the content of this site in good faith and trust anyone using the information, will honour our intention. The opinions we express are our own and (unless we quote them directly), are not the opinions of other people, organisation or groups. Ukuva iAfrica © brand is the property of Nigel Wood and licenced to Turqle Trading. Nigel Wood hereby asserts his rights as the owner of the logo, the name Ukuva iAfrica and the phrase "A taste of Africa” used in context with Ukuva iAfrica, the Ukuva iAfrica Logo and Turqle Trading.